The second volume of The Gangster Chronicles explores one of the many side effects of the Great Experiment, America's Prohibition on alcohol. I’ve often contended that Prohibition made criminals out of a lot of ordinary people who just wanted to drink and serve drinks. But it also gave some truly bad men an ... See More opportunity to misbehave. Although he had one of the worst nicknames names ever, Raymond "Crane Neck" Nugent, was one of the most ruthless of the era's gangsters. At 25, he went to trial for the murder of a bootlegger, and when the witness who came forward right after the event changed his mind at the trial -- well, we’ll look at that here in Chapter One. 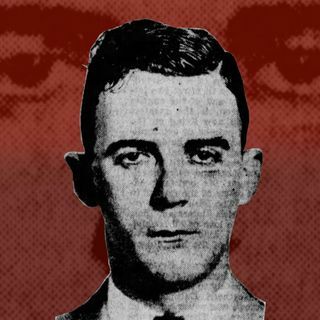 Before his own demise, Nugent would be suspected in at least 15 high-profile murders, including the most famous gangland massacre of the Prohibition era. Yeah, he was probably one of the guns at the St. Valentine’s Day Massacre.